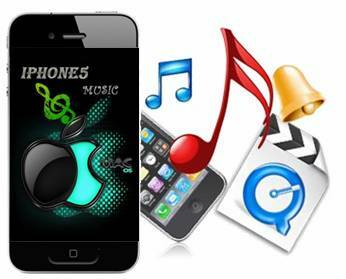 Home » How to make and install free ringtones for the iPhone 5? So you just have a brand-new iPhone 5 on hand? Why not making your favorite songs as free ringtones for your phone? Making free ringtones and transferring them to the iPhone 5 is not as easy as on other smartphones. The problem is that most users simply don’t know all of the steps involved. In the following guide, we will show you how to create your own iPhone 5 ringtones, convert them to an iPhone 5 preferred format, and then sync them to your iPhone 5 using iTunes. 1. If your track is already in iTunes, right-click it and choose Get Info. Then, on the Options tab, choose a start and stop time no longer than 30 seconds. 2. If you want to extract audio from a Blu-ray or DVD movie, we recommend using Pavtube Blu-ray Ripper and save the output file as MP3. 3. If you have a wave or MP3 file you'd like to pull a more precise clip from, we recommend using Audacity for Mac or Windows. 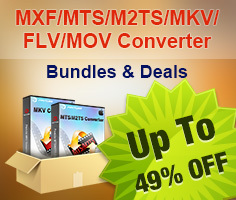 Be sure to export the finished file as an MP3. Now that you have an audio clip that is between 1 and 30 seconds long, you need to convert it to the appropriate format. Now you're ready to transfer the file to your iPhone 5. Your new ringtone will now be transferred to your iPhone 5. To configure it as your current ringtone, simply go to Settings > Sounds > Ringtone on your iPhone and choose the new file by name. That’s it!